Speech recognition specialists Nuance Communications has been named as a sponsor for Digital Health Rewired. 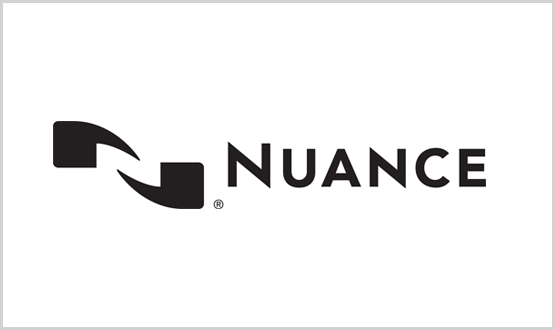 Nuance has joined as speaker sponsors of the Cloud and Mobile track of Digital Health Rewired. Dr Paul Altmann, CCIO at Oxford University Hospitals, will present on how the GDE trust is using speech recognition technologies. The new Rewired two-day conference and one-day exhibition is taking place on 25-26 March, Day one at Novotel Olympia and day two at London Olympia, and will connect health IT leaders and professionals with the latest disruptive digital health innovations. Frederik Brabant, vice-president of Nuance Healthcare International, said: “We’ve been long term sponsors of the Digital Health Networks because it keeps us close to the news and views of those influencing and orchestrating digital and technological innovation in UK healthcare. “Over the years since we’ve been sponsors we established and built up some fruitful partnerships with our customers and prospects. Day two, 26 March, will be devoted to the brand new Digital Health Rewired Expo, an integrated conference and exhibition, that will showcase some of the very best local and national work of digital trailblazers in health and care. The over-arching theme of the Rewired Expo will be joining up and integrating health and care through the transformational use of technology, with a dedicated conference programme plus hands-on practical demos and showcases. Dedicated zones will also enable delegates to explore latest developments in key disruptive technology trends: AI and Analytics, Cloud and Mobile, Clinical Software and Cyber Security. Each zone will have a compelling programme delivered in its own show-floor theatre, informed by Digital Health’s News and Intelligence coverage. Make sure you have registered your place today.